This post was originally written by Amy Chorew, VP of platform development on CleanSlate for Better Homes and Gardens Real Estate. There are many reasons to live-tweet an event: You want to bring your followers along on your Inman Connect San Francisco (#ICSF) adventures; you want to want to drum up some networking opportunities; or maybe you’re just looking to find the perfect grilled dungeness crab (Camino). 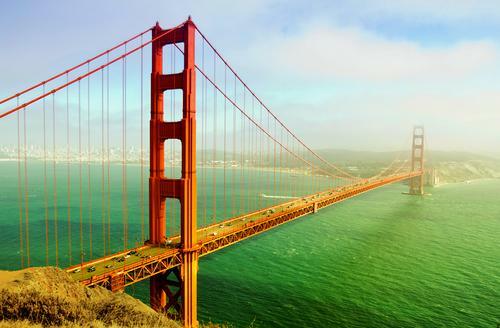 But, whether you’re tweeting for your firm or your brand, or if you’re tweeting from your personal account, there are a few things to consider before you head out to San Francisco. Your reason why. Figure out why you’re live-tweeting, and tweet accordingly. Have your purpose in mind, and make sure to always add value (factoids learned, information or even infotainment). Figure out your content. Several questions to ask yourself, such as: Are you prewriting any content? Any session-specific tweets can be prescheduled to remind everyone to come to your session. Also, if you have any standard, evergreen messages, they can be scheduled as well. Are you planning on attending and live-tweeting any of the sessions? Know when those are. Take the time to prewrite whatever content you can — the session titles and speakers/speaker handles. Store that content on your Evernote or other notepad app, so it’s an easy copy and paste. Will you be tweeting personal content? If your brand is OK with that, personal photos and videos that show off the town, the event, your meals or your friends will always add fun and interesting content to your feed. Will you be retweeting (RTing) others? The answer for this question should always be yes. Make sure you’re paying it forward (and letting them do some of the keyboard work!) by tweeting content from other attendees. Giving them a follow wouldn’t hurt, either. Prep your audience. Give your audience a heads up that it’s a big week next week, and that you’ll be live-tweeting from San Francisco, and to be prepared for more tweets than usual. Keep in mind who your followers are — chances are, if they’re following you, they’re following a lot of other industry folks. And chances are, those folks are also at ICSF. So be careful not to overtweet the event, or over-retweet individuals or heavily shared tweets. What tools you’re using. Have you downloaded the mobile versions of a Twitter aggregator, such as HootSuite or UberSocial? These apps will allow you to listen for conversations happening at ICSF. When you’re tweeting. If you’re tweeting for an organization but sharing the duties with someone else, make sure you’re not in each other’s way. Prearrange times of days (or blocks of hours) where you’re splitting duties. Or if you have prewritten content, schedule them at set time periods (on the quarter- or half-hour), so you’ll always know to keep away from those set tweets. What hashtags and lists to follow. Doing this homework ahead of time will help, so make sure to stop for a bit and: Figure out what hashtags, such as #ICSF (or #BHGRE!) you want to follow — set up those columns on your Twitter apps. Keep an eye out for other tags that pop up during the week. Figure out who you want to be in regular contact with during the week. Make sure you’re following event-specific lists, such as the Inman 2014 speakers or your own personal lists of brokers and other agents. Don’t forget to follow event speakers or organizers and their official accounts, such as @InmanConnect or Inman’s @LauraMonroe. Separately, once you make your lists, store it somewhere on your phone, iPad or laptop (or all three, if you’re using an Evernote-type app). This easy access will save your fingers from having to type out long handles while you’re walking down the hallways. Expect the unexpected! That perfect sunrise or sunset over the bay, the candid shot of a colleague kissing a sea lion, the perfect Ghirardelli sundae. Keep that camera ready — that’s the content that proves you’re a human behind that Twitter handle. Look up! Last but not least, don’t forget, we’re headed out to San Francisco to learn and connect — you can’t do that glued to your phone. Remember to look up and shake a few hands! You can also learn more about Better Homes and Gardens Real Estate, network and engage with other top real estate professionals by following us at All Things Real Estate on Facebook, @AllThingsBHGRE on Twitter, and, of course, follow our company page on LinkedIn.